The trading operation of a betting company is the heartbeat of the operation – at least for now. 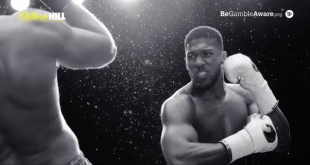 Marketing has long been eating into its functions, although the emergence of the live betting phenomenon means that the pendulum has swung back the way of trading teams. But for how long? 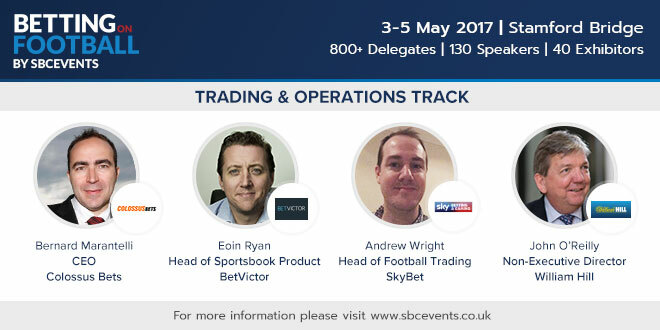 Betting on Football 2017 (3-5 May) will deliver a comprehensive update on trading and operating within the fast-moving sports betting industry. Trading & Operations is one of four tracks across three days at Stamford Bridge, which will also host separate tracks for Leadership, Market Profiles and Marketing & Media. Starting with a look at the future of the trading floor, and whether traders will ultimately become distinct within fully automated bookmaker operations, the seven-panel agenda also includes a close look at the challenges of live betting data, and how traders are ceding more and more control to punters via promotions such as cash out, edit bet and edit my acca. Colossus Bets CEO Bernard Marantelli will be speaking on ‘From cash out to edit my bet’ alongside Eoin Ryan, Head of Sportsbook Product at BetVictor, Sky Bet’s Head of Football Trading Andrew Wright and Betgenius Head of Sportsbook Product Tom Warburton. 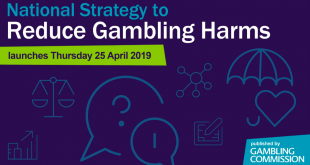 There is also as session on operating in a live environment – Keeping it real time – the challenges of live betting data – where experts such as David Lampitt, Managing Director Group Operations, Betradar, will discuss how his firm handles the issue. 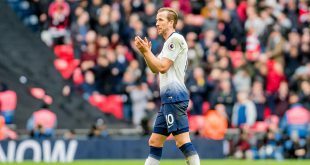 The afternoon will feature a one-on-one with someone who has held director level positions at the UK’s traditional ‘big three’ bookmakers – Ladbrokes, Coral and William Hill. John O’Reilly, the newly appointed Non-Executive Director for William Hill, will be sharing his thoughts on the current state of the betting market and how its relationship with football has developed over time. ‘Emulating the beautiful game’ and providing products to complement real-life action will be the central theme of discussion for the virtual football session featuring Golden Race CEO Martin Wachter, VSoftCo Simon Westbury, and Highlight Games Managing Director Tim Green. The day will conclude with a debate on the future of exchange betting featuring Matchbook, Smarkets and Spiffx, which follows a detailed look at how SSBTs are replacing lost OTC revenue in betting shops. ‘How SSBTs are changing the face of betting shop business’ will see Chisholm Bookmakers, Best Gaming Technology (BGT) and Fincore discussing a different way of understanding the retail betting environment and how SSBTs will evolve to reflect this. 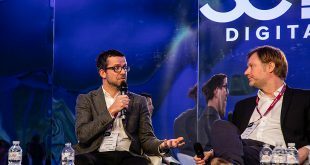 John Pettit, Managing Director for Playtech BGT Sports in the UK, Ireland, Asia and Australia, said: “The range of bets being placed on digital devices has shown that football bettors now demand greater market inventory than the traditional pre-match offering of WDW and over/under markets. Do you want an insight as to how the trading floor will look in the future? 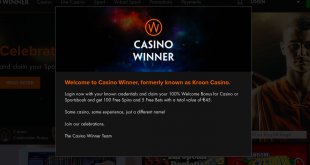 Click here to sign up to Betting on Football and join the discussion.